1. 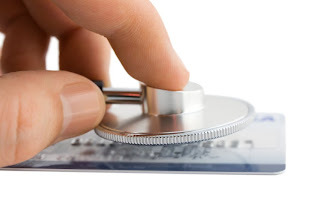 Lack of Bureau Updates – The Credit bureaus are changing at a regular pace. Equifax updated last year to provide new segments. Are you using these? Data companies are working harder to provide better assets with their core products, but major players in data acquisition aren’t keeping up. In short, don’t let your technology limit your efficacy. 2. Not Adding New Data Sources – In addition to improving core products, data providers are collecting differentiated data and leveraging them to create differentiated analytics. But, can you add the data? Getting new data is essential for you to increase your return on assets, build deeper relationships, and build products that facilitate successful relationships. 3. Regulatory Indifference – Who is responsible with keeping up with how you calculate income? Do you have a technologist following the Consumer Finance Protection Bureau? The data providers do. They offer solutions your legal team should find compliant and easy to implement. Equifax helped multiple institutions meet Udall with minimal change by leveraging both Equifax data AND Equifax technology. 4. Impossible to Maintain – Do you have variable or fixed costs associated with data acquisition? Ripping out a fixed cost system when you didn’t need to make data source changes was fine when business was booming, but is that mainframe now a noose around your neck? What about that static license fee? How about the team of 15-plus year experience legacy technologists to maintain and execute changes on your systems? New language developers are far more common and require less ramp-up time to learn your system. An ASP model diffuses the cost to an “on demand” model where the incentive is to get it done right and out the door as quickly as possible. 5. Slowing the Technology Transfer – Numerous banks see the problem and understand they can’t modernize downstream technology until they fix the source. You can’t have better interactions with customers without better offer management. You can’t have better offer management without better decisioning. You can’t have better decisioning without better attribution. You can’t have better attribution without better data acquisition. We have better data. We have smarter analytics. The acquisition likely is locking you into a policy that isn’t as efficient as it was 10 years ago.